In today’s speeches and demos from the big dogs at Huawei, we’ve heard a lot about the camera – which seems like a pretty good place to start. After all, it features some amazing tech that’s never been seen on a smartphone before. This is the first time in the world that we’ve seen an ultra-wide-angle triple Leica camera. OK, that sounds impressive, but you want detail. Right - well, the 5x zoom lens makes subjects that are far away appear closer to the camera giving you brilliant detail. And just imagine the incredible landscape shots you’ll be able to get with that wide-angle lens! There’s macro photography that lets you capture astonishing detail from just 2.5cm. Finally on the camera, the clever AI will make sure you always get a great shot. It understands what you’re snapping, where you are and adjusts its settings to give you the best possible pic. One of the other things that got this room of tech journos really excited was the screen. This 6.39-inch full HD display will keep you captivated when you’re catching up on a box set. It’s so immersive, you’ll have to make sure you don’t miss your stop – you have been warned! And because the screen is so big you can see and do more. Prepare to be blown away by detail and colour – and for your pictures and videos to look absolutely stunning. If you’re one of those people that never closes down any of your apps – you know who you are! – the Huawei Mate 20 Pro has got your back. Because of its fast octa-core processor and 6GB RAM, you can throw anything at it. Run all the apps you want, and enjoy a smooth experience with no lag. Oh, and we must mention the Mate 20 Pro’s monster of a battery. 4,200mAh is just about as big as you’ll get anywhere, and it’ll keep you going all day long. There are so many good things about the Mate 20 Pro we haven’t had a chance to mention yet, from the smart video editing feature to the fingerprint reader in its display and the massive 128GB internal storage. And there’s the cool animojis feature that brings objects to life – we’ll have to add that to our hands-on, coming soon. 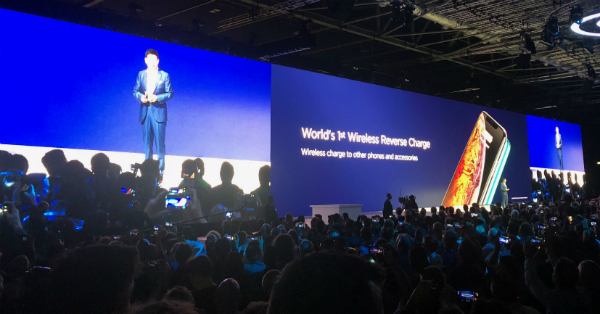 But there’s one more thing we just have to make time for, and that’s the fact that you can actually use the phone as a charger to give other devices a boost. It’s the world’s first wireless reverse charge, and you could end up being a right lifesaver for friends who are short of battery. Pretty cool, right? If we sound excited, it’s because we are – and you should be too. In the run up to this event, Huawei have been telling us how ‘a higher intelligence is coming’. Well, from where we’re sitting (actually standing – it’s rather busy), it looks like it’s arrived. This could just be the best Android phone of the year so far, and you can order it from Carphone Warehouse now. 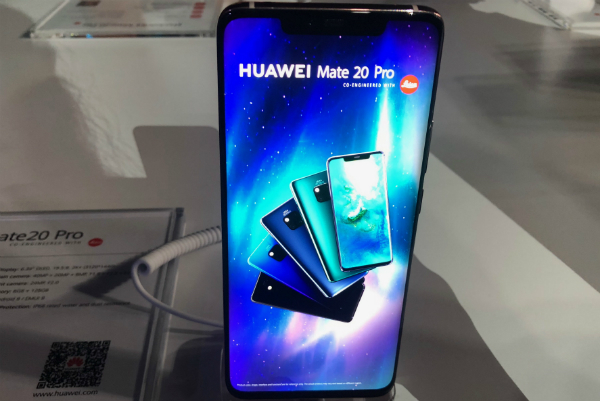 Have you got your eye on the Huawei Mate 20 Pro? What feature are you most looking forward to? Let us know below the line.